"The horn blew and the hordes came." 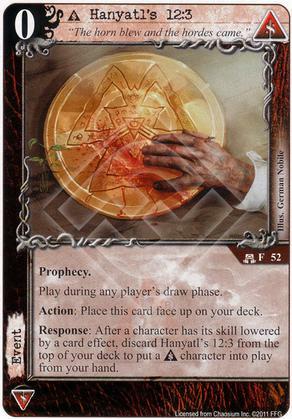 Response: After a character has its skill lowered by a card effect, discard Hanyatl's 12:3 from the top of your deck to put a [Syndicate] character into play from your hand. do you still pay the characters cost to put into play from your hand or is the discard action the 'cost'? When something says "put into play" this takes the place of the normal cost.